Joseph’s dreams got him in trouble. Daniel interpreted the dreams of important people. Jacob saw a ladder with angels climbing up and down. At Pentecost, Peter said the time had come for old men to dream dreams. Theologically speaking, dreaming is an ancient way God sometimes uses to speak to us. Scientifically speaking, dreaming is a time when our short-term memory is transferring data to our long-term memory. Random bits and pieces of what is being transferred get picked up and linked together as images. Our logic center then tries to make sense of these images and a dream results. Like the one where I dreamed Eskimos were living in my ear – my logic center was simply explaining the ear infection that I had been fighting. I think my logic center has a great sense of humor, by the way! I printed these verses out and read them randomly throughout the day. Then at night before I fell asleep, I meditated on them. I invited the Holy Spirit to join me in my dreaming. The first night, as I was falling asleep, I saw the image of a photograph in a gold frame. The photograph was of a motorcycle flying down the road. It woke me up. Out loud, I said to myself, “Well that has nothing to do with anything.” I laughed and I went back to sleep. In the morning when I woke up, I read my verse again. Duh! The image had everything to do with my dream! What if God is telling me that I am like a motorcycle flying down the road instead of like a graceful eagle soaring in the sky? I felt rebuked and a little depressed about it, because I am happiest when I am speeding along, wind blowing all around me – not taking it easy. I wasn’t convinced I understood the message so I kept meditating. The next day, in my news feed, there appeared a story about the golden eagle. 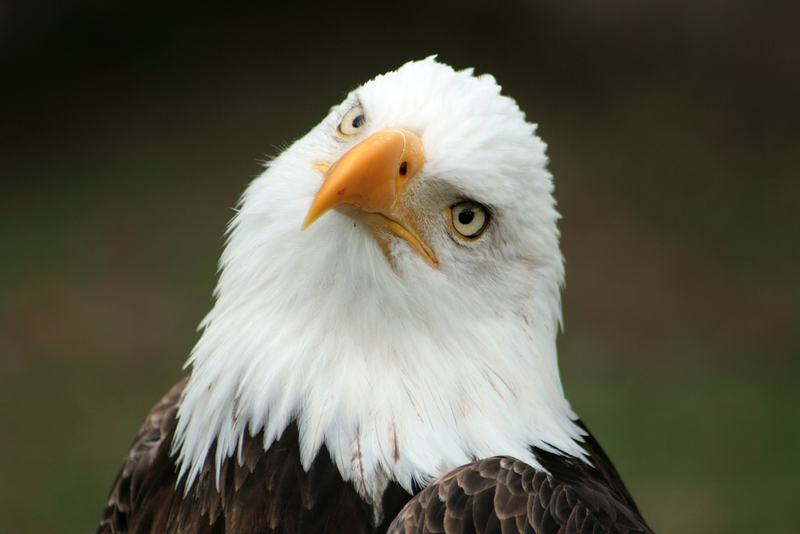 Not only is the eagle strong, but it can fly up to 175 miles an hour in a dive. The eagle is known to attack (and kill) deer and even wolves. The eagle isn’t up there just soaring around gracefully all day long; it has strength, speed, skill, and purpose! I liked this strong image. However, when I put the image of the strong eagle together with the verse, I thought that what it must be saying is that those who have faith in the Lord as they wait will eventually be like strong speedy eagles (or the powerful speeding motorcycle) after the waiting is finally over. Again, it made me feel sad. Like I said, I find real joy in (a lot of) purposeful work. I will never be good at sitting still for endless months and years. Yet, I wasn’t convinced I understood the message. Upon reading this, I realized . . . I have been interpreting the eagle wrong! The eagle is not what we become at the end of a good long successful wait. The eagle is not what happens when the shine-time finally comes. The eagle is what the prophet is telling us to be like while we wait. In waiting, we get renewed (renewal is sometimes very hard work). In waiting, we mount up on our powerful wings. In waiting, we fly, we run! Waiting doesn’t mean we fly up to the thermals for an endless glide. And it certainly doesn’t mean we mope. Waiting is a time to prepare for shine–time – the glory of God to be revealed in us and through us. Being like the eagle does not start when shine-time begins, it is not the end result of waiting, it is what we are to do as we wait! We wait as strong eagles who mount up with wings that dive 175 miles an hour. We wait without being weary and fainting. We wait in wonder and joy doing the work God has prepared for us to do in the waiting! The prophet is telling us that those who have faith and hope in the goodness of the Lord will be able to spend their wait-times like strong powerful eagles who will not grow weary – like a speeding motorcycle on a mission! I think of my friend Dr. Steve Hayner, past President of Colombia Theological Seminary, who spent his wait time with pancreatic cancer, ministering out of a heart of joy to everyone he encountered. I think of my parents who waited 7 years to conceive a child (then – for better or worse – ended up with me). I think of Sara who waited for Isaac’s birth until she was too old to have a child. I think of African-American slaves who waited for freedom. I think of people of every color waiting today for justice and reconciliation. Let us wait like eagles! We can do this, because we know the end of the story. Check out April’s Books. She’d love for you to find the words “Follow” somewhere on this page (depending on your browser) and follow her blog too!